Festival of sounds (FOS) is a festival for music-lovers. Our main objective is to provide a free platform for everyone to create and share their music with the world regardless of age or level. 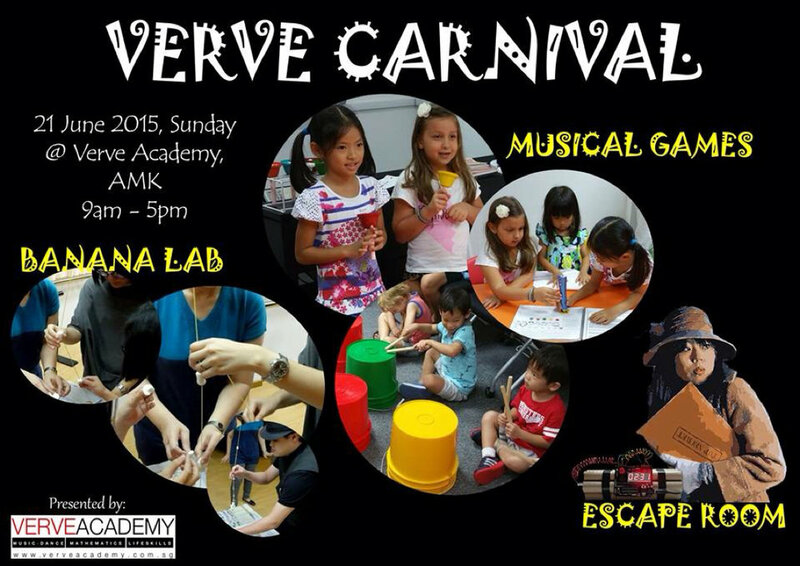 Participants will get to explore creative ways that sounds can be produced and collaborate with their mentors and/or teammates to create and perform fun and exciting items outside formal music lessons and exams. - Open to all ages and levels. - To submit, please send your video via Whatsapp to +65 94564608 and include a general description of your performance (title, instruments, performer(s)’ name(s) and age(s)) and any other relevant and interesting info you wish to share. 3. Click LIKE on the FB posts with video performances that you want to vote for. Do remember to set your post to public. 5. Tag at least 3 friends. *** 5 lucky voters will stand a chance to win attractive prizes!!! Organisers reserve the right to screen and moderate all submitted videos and facebook comments according to suitability of content. 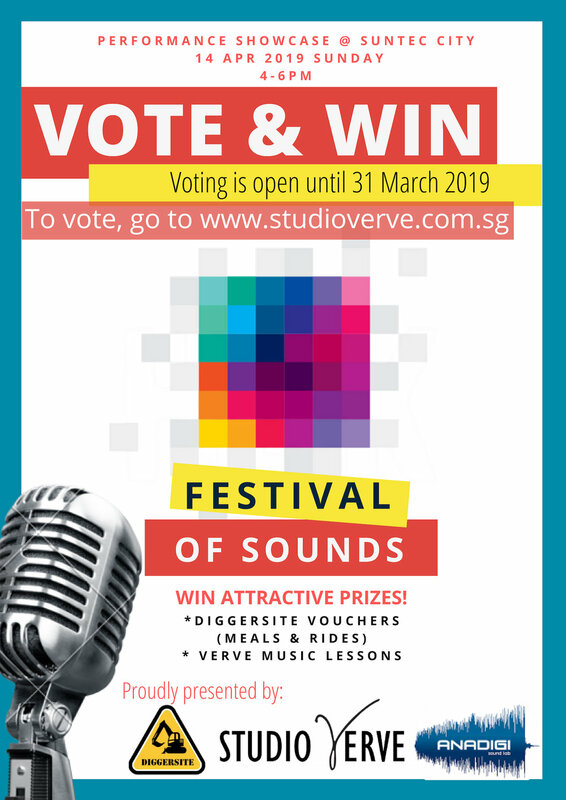 	5 winners -> Studio Verve music lessons, Diggersite rides and meal vouchers. Open invitation to all, Studio Verve is holding a jam session at Suntec City Diggersite on 30th September 2018 from 4pm to 6pm. PLEASE COME JOIN US for an session of musical fun, creativity and freedom! ! You can sing, or play an instrument e.g, piano, cajon, drums, bass, guitar, in any genre e.g., pop, classical, musical theatre, jazz, come and participate in a jam with us, playing your favourite tunes! For those who will perform a classical piece or musical theatre, bring your scores. Or give us a call if you need assistance with your music charts, before the jam session! Admission is free! Just bring yourself and your musical talents! Looking forward to making music and hanging out with you guys! Don't Forget!! SEPT 30, 2018, 4pm onwards! Does your child enjoy her piano lessons? Is Your Child Just Blindly Following Teacher's Instructions without knowing WHY? Does she have a joy for music? Is your child not experiencing a breakthrough in her piano lessons? In the lessons, is your child's musicality and creativity developed? 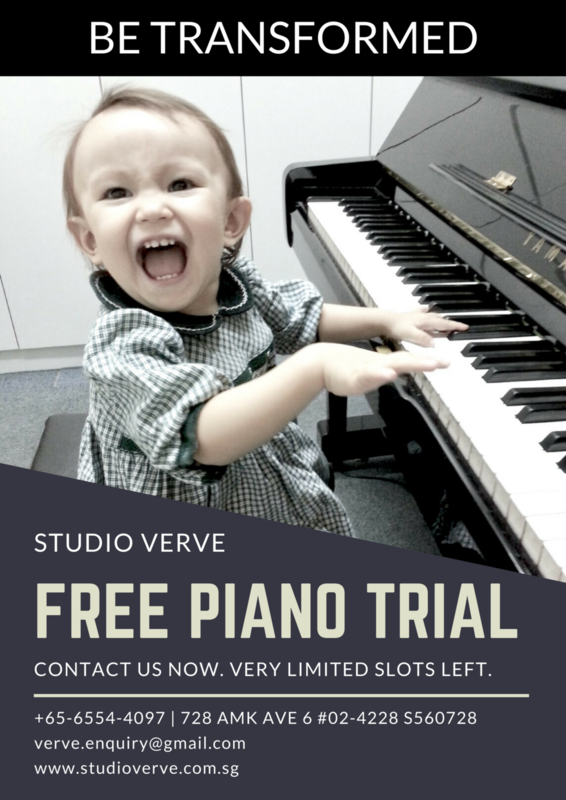 If you are keen in re-igniting or developing your child’s musicality and passion for music, Studio Verve is offering a TRANSFORMATION CLINIC FREE only for the first 20 signups! For a limited time only, our music specialists will personally be sharing how your child can acquire both understanding and technical skills in our FREE TRANSFORMATION CLINIC. Be inspired by learning the tools to transforming the delivery of your piece in just 1 session. Be amazed at your ability to create music that is powerful and moving. To stand a chance to win a slot in our FREE TRANSFORMATION CLINIC, click on the “sign up” button below and fill in your details on the next page. We will get back to you within 48 hours and answer any queries you may have. Slots are filling up fast so hurry and click on the “Sign Up” button now before it’s too late!